Our most stellar perfume (grapefruit, black currant and lily of the valley), in a limited edition flacon whose dove-in-flight design is traced in amethyst, white and opalescent Swarovski crystals. A uniquely shimmering statement of the longing for peace. This fragrance is as it's name. Freeing, light and airy yet alluring intriguing and very sensual. 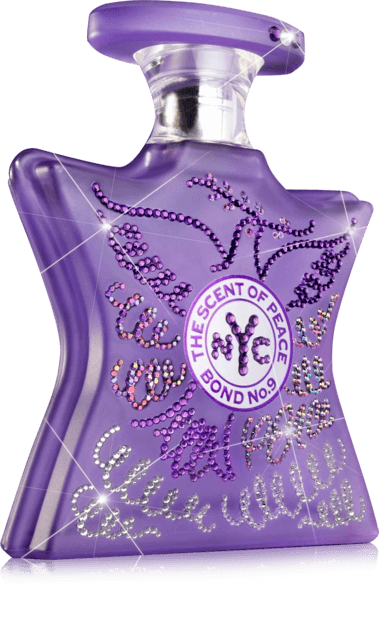 I love wearing scent of peace in the spring and summertime! Scent of peace is a wonderful pick me up, on those long gray days that often are presented throughout the year. Scent of peace gives you a sense of peace and I love it!